The rally was flagged off on Saturday morning by Uasin Gishu Governor Jackson Mandago flanked by his counterpart Alex Tolgos , the Governor of Elgeyo Marakwet. Tapio Laukannen and Jaspreet Chatthe are leading after the first two stages as the six times champion Ian Duncan retired after Cs 1 Ilula park with a turbo problem. "The turbo made us bow down at Ilula,there isn't much we could do requiring 2hours to fix it back",said Ian. Finland's ace Tapio Laukannen is optimistic of making it to the podium finish. 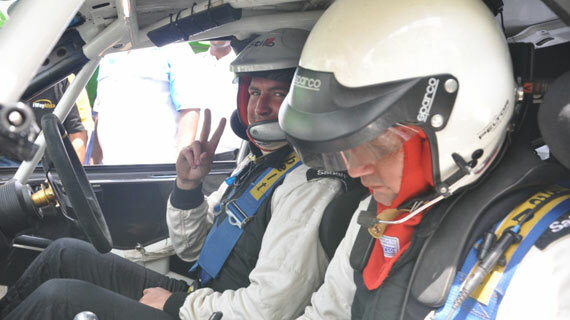 "Eldoret route is challenging especially at CS 5, but we will drive as fast as we can during the remaining stages. ", said Tapio. Drivers will cover CS 5 10Kms Quarry stage, followed by Chebiemit, Salabin and CS 9 Chemweno stage.